Home > Stocks > Will US Economy Be Enough to Keep The Stock Market Running? 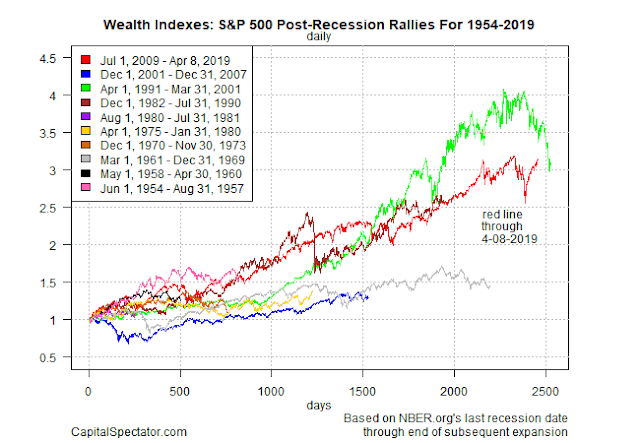 Will US Economy Be Enough to Keep The Stock Market Running? For the moment, there’s no sign of market weakness. The S&P 500 is up a strong 15.5% year to date, taking the sting out of the sharp correction in late-2018. Analysis that considered a darker profile, including cautionary reviews on these pages have fallen short. As a result, buy-and-hold reigns supreme and US stocks remain priced for perfection.